The Apex Edition is a complete edition containing the base game and all DLC. This does not work on version 1.2. Primal is the first Far Cry game since Far Cry 2 to feature manual saving. Making a manual save will save the most recent checkpoint as a permanent save file. Many such permanent save files may be created. Multiple G-Sync monitors users may experience screen tearing when accessing and dragging the map around. The game uses a fictional language for voice audio. By default, the game has a mouse "deadzone" effect that ignores small mouse movements. This can make precision aiming with ranged weapons difficult to impossible. An option to disable this feature has been included with one of the patches. Under "Mouse & Keyboard Settings", set "Mouse Deadzone" to "off"
The game fails to launch with mirrored screens, disable mirrored screens in display settings. 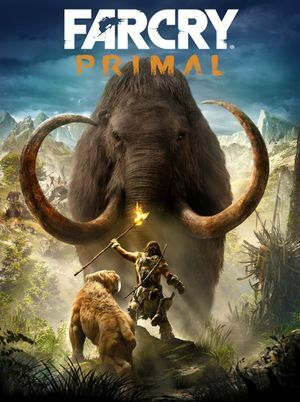 See Helix Mod: Far Cry Primal. ↑ 1.0 1.1 File/folder structure within this directory reflects the path(s) listed for Windows and/or Steam game data (use Wine regedit to access Windows registry paths). Games with Steam Cloud support may store data in ~/.steam/steam/userdata/<user-id>/371660/ in addition to or instead of this directory. The app ID (371660) may differ in some cases. Treat backslashes as forward slashes. See the glossary page for details.